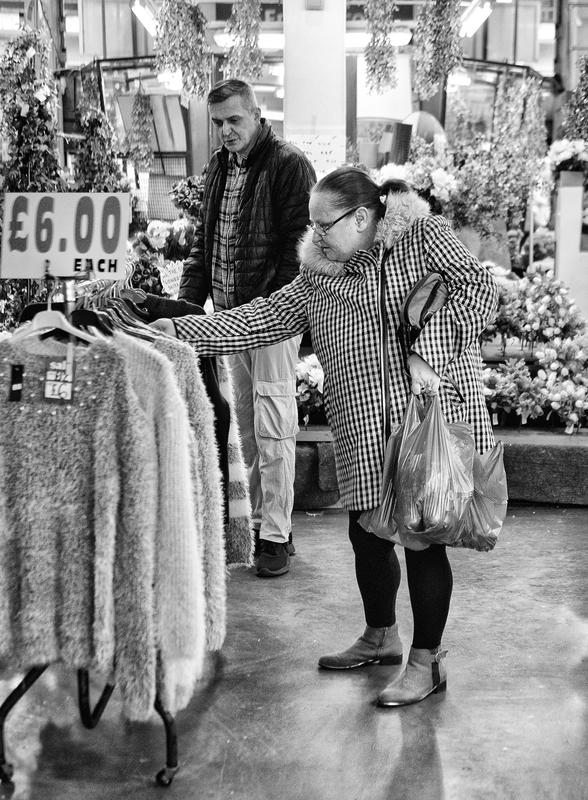 Coventry Retail Market is a hive of activity every day bar Sunday....fantastic selection of stalls, many of them rather exotic..........the fruit and veg section is a Photographers dream. The guy in the background looks interested, but I don't think they'll suit him. This is a great shot, Fuji. Lots of nice detail in this one Fuji!